Purpose: The aim of this study was to investigate the effect of organic chemical and microbial fertilizers on the growth of groundnut and faba bean grown in three types of soils. Design/methodology/approach: Two pot experiments were conducted at the nursery of the Faculty of Agriculture, University of Khartoum during the summer of 2009 and winter 2009–2010. The treatments were arranged in a completely randomized design with three replications. Chicken manure, manufactured organic fertilizers (Elkhaseeb, Elkhairat and Abu floos), Effective Microorganisms (EM), Rhizobium and urea were used in three soil types (Shambat, Elrawakeeb and Gerif). Chicken manure and manufactured organic fertilizers were applied at the rate equivalent to 40 Kg N/ha and urea was applied at the rate of 40 Kg N/ha. Data were collected on the number of nodules, plant height, dry weight of shoots and roots at ten weeks after sowing. The nitrogen, phosphorus and potassium content of shoots were determined at ten weeks after sowing. Findings: The results showed that urea and organic fertilizers, especially Elkhaseeb, significantly increased most of the measured parameters for both crops compared to the unfertilized control. Rhizobium inoculation significantly increased dry weight of shoots and nodules, number of groundnut and dry weights of shoots, roots, plant height and potassium content of faba bean. Effective microorganisms showed no significant improvements in most of the measured parameters for both crops compared to the untreated control. The results indicated significant differences between soils, with Shambat soil being the best, followed by Gerif and Elrawakeeb soils. It is suggested that locally produced organic fertilizers should be encouraged and standards for their quality should be developed. Very strict measures and standards should be imposed as well as careful inspection for all imported microbial fertilizers. 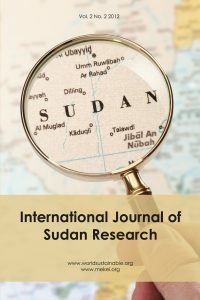 Originality/value: This research was carried out by three researchers from two institutions concerned with organic production of legumes in Sudan. The paper emphasizes the efficiency of new commercial organic and microbial fertilizers to conventionally used fertilizers in Sudan on faba bean and groundnut grown on three types of soils.